In January of 2010 Peter Wicks passed away. He was aged just 24 and the younger brother of Diva Dragon. Diva and her friends decided that the only way to say thank you to the people and agencies who helped Pete’s family and friends through this hard time was to raise money and awareness for them; to ensure that they can help other families in their time of need. The poem referred to there I still cannot read without being moved to tears. I think what the Dragons are doing is nothing short of amazing, and it makes me feel very honoured just to have some very small association with them, even if just by sponsoring their efforts now and again. So anyway, being friends with the Dragons on Facebook, I get to follow their activities, and noticed that Rebecca was doing Kilimanjaro a few weeks ago to raise more funds for their wonderful cause. I got to correspond with her a few times before the trip, and tried to offer a few snippets of advice from my own experiences. It was just nice to be able to share a few of them again – Kilimanjaro will never leave me, and I am so grateful to have such wonderful memories of my own time there. I was so happy to find out that on 8th September 2011, Dragon Bex summitted the world’s highest free-standing mountain. Fantastic! It is Summit Night. 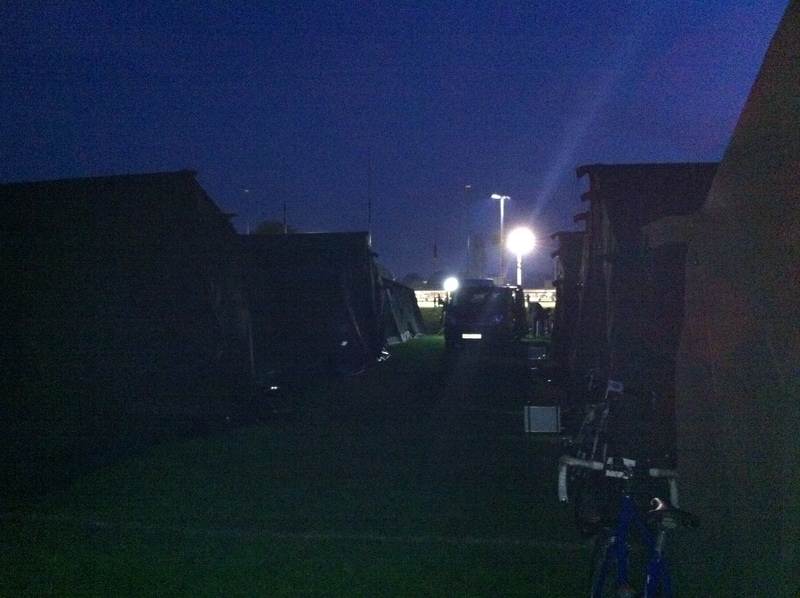 It was cold and dark, as 7 people crowded around the table in the mess tent. Somewhere outside we could hear the muffled laughter of the porters exchanging jokes in Swahili. In the tent we sat with our head torches on crowding closer to Ramson our Head Guide. “In my village at the foot of Kilimanjaro I often take a meal with some of my tribe elders.” Said Ramson in his excellent yet heavily accented English. As I reflect on my amazing adventure “Why” indeed! Earlier that week on Saturday we arrived at a very dusty Kilimanjaro airport having flown from Heathrow to Kilimanjaro via Addis Ababa and Mombassa. Very tired, myself and my companion Sue climbed on board the bus to be confronted by the tallest man I had ever seen. He explained that he was Paul the chef and introduced us to the rest of the team: Ramson our head guide and Amos and Thomas his deputies. Paul explained that his height was not unusual as he was half Masai and in fact at 6 foot 7 he was the smallest in is family! In addition to these 4 chaps there were also 18 guides who came up the mountain with us (more on them later) some who accompanied us on the bus and some who we were to meet the next day before the climb. As Sue and I settled in our seats our fellow Mzungu joined us. A lovely couple from Northern Ireland; Daphne a Nurse and Rob a retired drug enforcement Policeman, Fiona from Scotland who ran her own pet grooming firm and Nigel- A paramedic who we referred to as the “Camp- Medic” ( Take that as you will!) All lovely people and will be friends for life I have no doubt. They were also really interesting and great fun and the conversations we had on that mountain were awesome and got me through some tough moments. After an hour of driving Paul signalled to something in the sky. I thought he was pointing out an airplane or a bird, but no, nestled in the clouds was our first glimpse of Kilimanjaro. I don’t think anyone was prepared how big this mountain was and the mood on the bus changed…….Ramson noticed and quietly remarked that as long as we gave Her the respect she deserved we would all be ok.
We arrived at our Hotel, (lovely) had a few beers (lovely) and looked forward to the next morning and the start of “The Climb”. There was no need for an alarm the next morning as the 18 porters had arrived with food for 7 days, our tents all the equipment and were noisily strapping it to our bus. I must now talk about the porters who were for me the absolute stars of the journey and there is no way on this earth any of us could have done it without them. Which roughly translated means: “What are you doing at the weekend would you like to go dancing? I think the problem with climbing Kilimanjaro is that the first 2 and a half days are relatively easy. Monday and Tuesday are spent walking up hill at a slight gradient, very slowly for about 4 hours in the sunshine, looking at the wild life, pretty flowers. Chatting, eating sweets, playing games getting to know each other and having a jolly time. Altitude sickness pah! We had would stop at camp for lunch, have a rest, go for a high walk in the afternoon to help us acclimatise and then have a nice dinner…..What comes as a shock is summit day ( More of that later) and also the lack of hygiene that slowly creeps up on you…which leads me to the Camps…..
Let me make this clear, there is no running water on the mountain. No electricity or gas. So clearly there are no showers. There is the odd “drop toilet” at camp and believe me, having used one of those I now know what hell smells like. It is also advisable at night not to use your head torch in the toilet as any glimpse down into the “pit” will lead to dry retching. I made a decision early on that I couldn’t use the “toilets” and felt happier going behind a rock. This is known as “checking the tyre pressure” I have no idea why! Each day at some stage on the walk the girls would go one way and the boys another, armed with toilet paper wet-wipes to relieve themselves by a rock….leave your dignity at home! The next thing to mention is the dirt….it is very dry and dusty in Africa and the dust is so fine that it gets everywhere, ingrained into your deepest pores, it goes up your nose (black bogies) and into your ears, not usually a problem, however there are no showers so it is impossible to get clean. There is of course the “Shanklin Shower” named by Daphne which is a wet-wipe wash of your face, arm-pits and…well you can imagine the rest! We all turned our noses up at the start of the trip as the porters were a bit pongee but by the end we didn’t care because we smelt just as bad! So with the exception of no showers or toilets the camp is made up of the Mzungu’s 2 man tent I shared with Sue, (cosy is the best way to put it) the “mess” tent where a trestle table and 7 chairs sat, where he had our meals and a bigger tent which had seen better days which doubles up as the porters accommodation and the kitchen. Now a huge amount of credit goes to Paul. I have no idea how at 4 km above sea level he managed to produce some yummy food. Breakfast consisted of fresh fruit, Porridge, Spanish omelette, bacon on some days and sausages, with lots of coffee. In the evenings after our walk we would come back to popcorn and hot chocolate. For our supper we would have soup followed by coconut based curries and pasta. It wasn’t Cordon Bleu but you eat everything that was put in front of you. So I hope I am painting a picture so far of lots of- if somewhat dirty-fun. And then Wednesday morning came and everything changed. As today was summit day and we had no idea what to expect…….. The days started with a 5 hour walk to Kibo Hut which is the last camp before the Summit at aprox 4500m above sea level. Now this is the tricky time for altitude sickness. Whilst we had been walking very slowly for the last few days and walking high in the afternoons- this was a critical time to get our bodies used to what was to come. The terrain suddenly started to change too, from lots of vegetation to desert as it is too cold and there is too little oxygen for anything to grow. It also started to get very cold, and we all had to put on gloves, hats and several layers. When we arrived at Kibo hut the mood was slightly flat was we were tired and frankly in my case scared of what was to come. After lunch we rested and were fed again early evening and briefed on what to expect that night. Ramson explained that we were to get as much rest as possible because at 11pm we would be roused from out tents to start the walk to Uhuru Point 5895 m above sea level with an expected arrival time of 7am the next day. We would be given a small bowl of porridge before we started as it was likely that we would be sick if we ate too much. We were to take the bear minimum in our ruck sacks: 5ltrs of water carefully wrapped because it would freeze, any sweets, flapjack or glucose tablets we might need. Two pairs of gloves, socks and other warm clothes, our head torches as well as sun high factor sunscreen because when the sun came up we would burn. I have no idea what I thought about for those 8 hours. It was pitch black, we walked unbelievable slowly on a variety of terrain; we scrambled over rocks, slipped on scree, all at a very steep gradient. It was so cold (-10 degrees) I could barely feel my hands or feet and we were so very tired, I am fit and have done a huge amount of prior training but my muscles were on fire. We should have been tucked up in bed, yet Ramson would not let us rest too long for fear of getting to cold or falling asleep. Is strange, you are with a group of brilliant people who you have bonded with of the last few days and there are several other groups of people from all over the world ascending at the same time, so you are not alone however it is a very lonely experience walking in the cold with your own thoughts and fears of not getting to the top. Altitude sickness can hit anyone, no matter what age, gender, or fitness level. You have to keep focused though on the task at hand. Big strong men in their prime are being taken back down past you, covered in vomit with their noses bleeding because they could not cope with the altitude. You have to just keep going slowly and pray that the terrible headache you have and the acute shortness in breath will not lead to anything more dramatic. I have focused on the negatives here because it was really really tough but it was also amazing. I was given a piece of advice by a Kili veteran before I left- make sure you look up from the boots in front of you and take in your surroundings. I am so thankful for that advice…..as mentioned there were several other groups on the mountain ascending at the same time as us and as we zigzagged in the darkness it looked like a beautiful pilgrimage to yet unseen point, as the little groups of light created by the head torches bobbed up the mountain. With no light pollution, the stars were like nothing I have ever seen- you could see the Milky Way and I lost count of the shooting stars. Dawn breaking made the pain disappear… (momentarily!) Sunrise at 5,500m above sea level is something to behold, we were so high we could see the curve of the earth as the gold line of dawn on the horizon lit up everyone’s dusty faces. Shortly after we felt warmer and I could feel my hands and feet again. Looking down we could see a blanket of cloud several hundred metres below us. We were now nearing the end and could see in the distance the summit, so tantalisingly near yet still so far. I thought it might be snowier at the top but it is Spring in Tanzania and Global Warming has shrunk the ice cap. What is left is still majestic, massive turquoise lumps of ice. The feeling when you get to the top is strange. I felt personally felt a huge sense of relief and sadness in a way (everything you had planned for the last year was over), a few people shed a tear, some laughed hysterically. After taking the iconic pictures, I just wanted to get the hell out of there! I had gone from extreme cold to now very warm in the African sun; I was hungry and wanted my tent. The mind works in mysterious ways and I got a sudden surge of freakish energy, frankly I think I went a bit bonkers because, with the permission of Ramson, I ran down……..You walk up one side of Kili on summit night but part of the journey back down is 2km of sand dune, I had so much fun running and rolling down from the peak, I-Pod blaring return to camp to the best tasting glass of OJ ever, juice delivered by a smiley porter.. So you are shattered, you stink, you can’t wash, or use a toilet in private you are hungry but an hour after you get back to camp you have to pack up because you still have two days of walking to get back to the bus!! These last two days were in a way my favourite, you are all mad with fatigue- everything is very funny, the food is deliciously because you are always hungry and the sleeping bag is like a four poster bed because you are shattered….On our final night on the mountain the Porters got together and sung as songs in Swahili which was incredibly moving as we gave them gifts of our old tee shirts and smelly socks…they were so grateful! 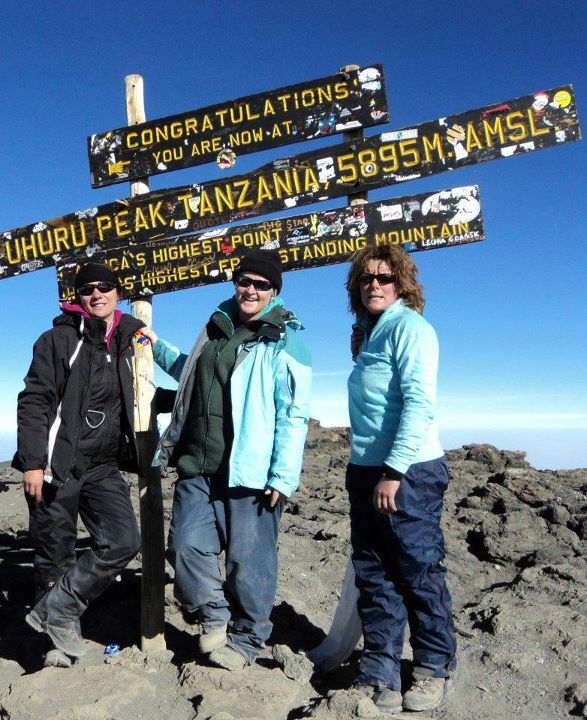 The best bit though….. collecting my certificate at the bottom and celebrating with my new friends and a Kilimanjaro Beer. I woke up at about 3.30 this morning freezing. I couldn’t quite work out why I was so cold, apart from the fact that I was sleeping with my head close to the door, and I tossed and turned for the next couple of hours. When I finally got alerted to the Reveille at 5 I discovered that my sleeping bag was unzipped from the bottom up, and hence my feet were like blocks of ice. The Reveille had a different tone this morning. The obligatory trumpet call was followed by the dulcet tones of Take That (Never Forget), and then a couple of other tracks, played at about 250 decibels through a couple of mega PA bins by the army. Oh what cheery chappies they are! I may have been standing on tiptoes here, I don't recall! We set out from Ivel Barbarians at about 7.30 in the end, to clear skies if very cold. 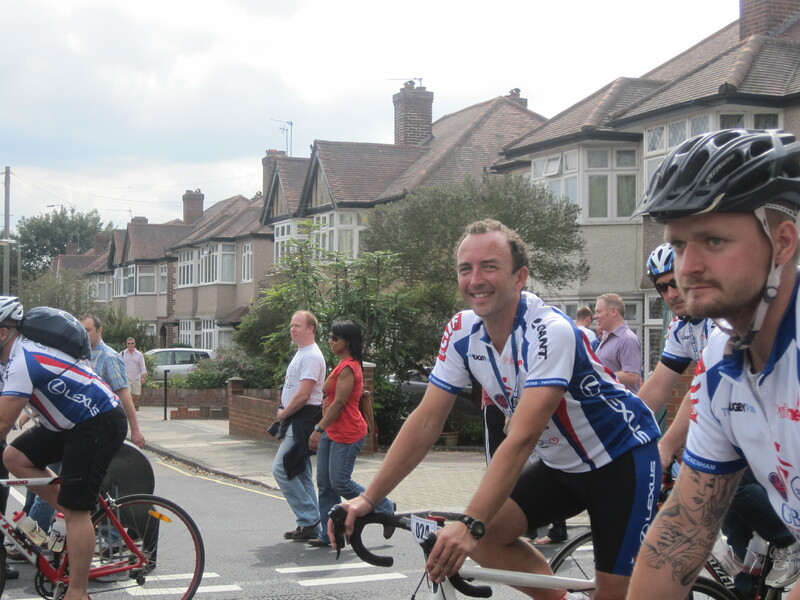 There were quite a few day riders today, about 50 in total I think, including quite a few guys from the club itself. This was the view at the starting line, with Martin Johnson at the head of the starting pack (he didn’t finish there I should add). Mr England again started us all off, with his now customary cries of “oyez, oyez” etc. The route took us out of Somerset, and through Dorset and then Hampshire. It was stunningly beautiful, particularly the New Forest, which I love. And this was simply the best day’s cycling I have ever had, maybe ever will have. The morning session was punctuated by a few testing pulls, but nothing close to what has been seen the previous two days. The middle section had one very long and steep climb, but was otherwise a quite nice run. The afternoon session (through the New Forest) was spectacular. We went through Ringwood and a few other places that I can’t remember. I wanted to stop every 100 metres and take photographs, but of course just couldn’t really do that. The last third or so of the ride was the best terrain of the ride so far, mainly undulating and forested land, and just beautiful – made you glad to be alive. I ended up arriving into Winchester at about 2.30pm or so, and I booked in straight away for my now obligatory sports massage. I think these helped my legs so much overall, the benefits could definitely be felt the next day. Finishing earlier today was nice as it gave the opportunity to chill for a while in the sunshine at Winchester rugby club, which was a great venue. The locals turned up to come and see Martin Johnson and Richard Hill who both signed a few rugby balls etc., and it was a glorious warm sunny afternoon. I met and chatted to one of the best riders of the event, Anna Baird, who it turns out had done Kilimanjaro like me. She had sadly succumbed to fairly serious altitude sickness at 4,600m and had not been able to summit, and I realised how lucky I was to have been able to do so. We also chatted about what other adventures were in contemplation, and for me the seeds of doing Everest base camp were definitely sown. I have no aspirations to climb Everest itself, and indeed am not a climber and never will be, but to trek to base camp and to say that you have seen the highest mountain on the planet, well, that has to be done, doesn’t it? 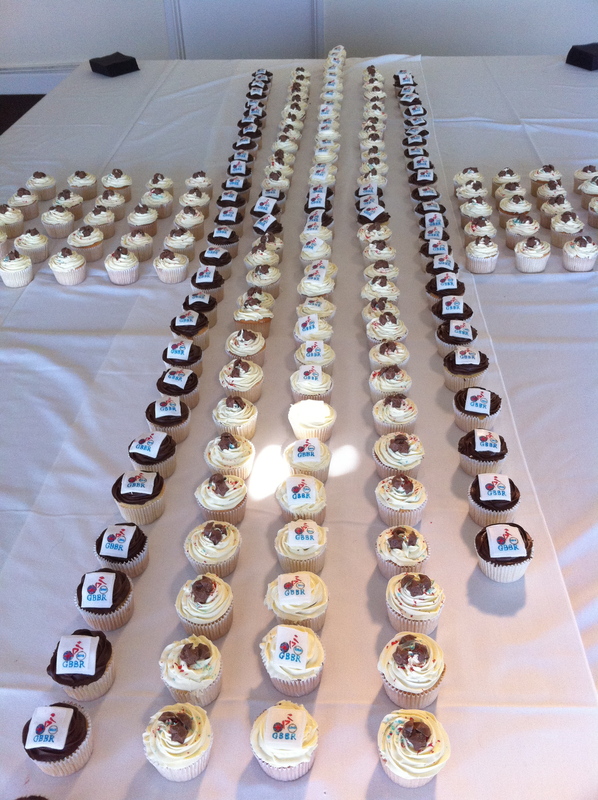 There was a nice touch in Winchester too, as with our afternoon ‘tea’, someone had made a bunch of GBBR (complete with our logo etc) cup cakes, which were delicious! After dinner, which was sensational, and massive, Barry Clayton gave a rather splendid speech. He was obviously very emotional, and so he deserved to be – he has put a monstrous amount of effort into this event. He thanked the huge amount of people who have helped support the event, and including the army guys there are literally hundreds. 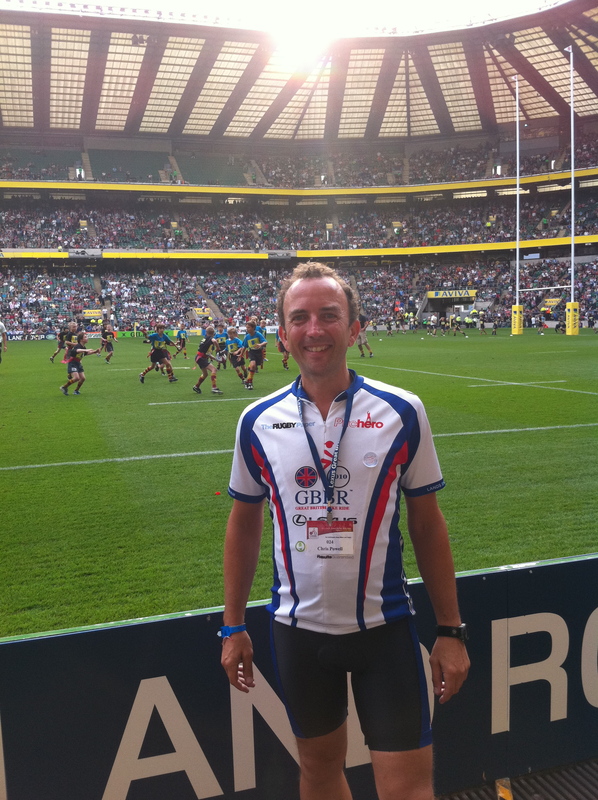 Most importantly he also told us that we riders had raised £89,000 between us so far for Help For Heroes – a fantastic effort. He also gave a very emotional tribute to Pete’s Dragons, which if you have already read my previous post you will know all about by now. I didn’t at the time, and Barry didn’t want to share their story with everyone for reasons which I now know. I don’t think I could have given that speech and not cried my eyes out. In fact I wouldn’t have been able to speak at all. I am going get Ditsey’s poem printed and framed in my house, and keep it for ever. I cannot think of a better or more wonderful lasting memory of this event than that. What amazing people they are. So the only downside to the evening was being told that Reveille was going to be at 4am (!). 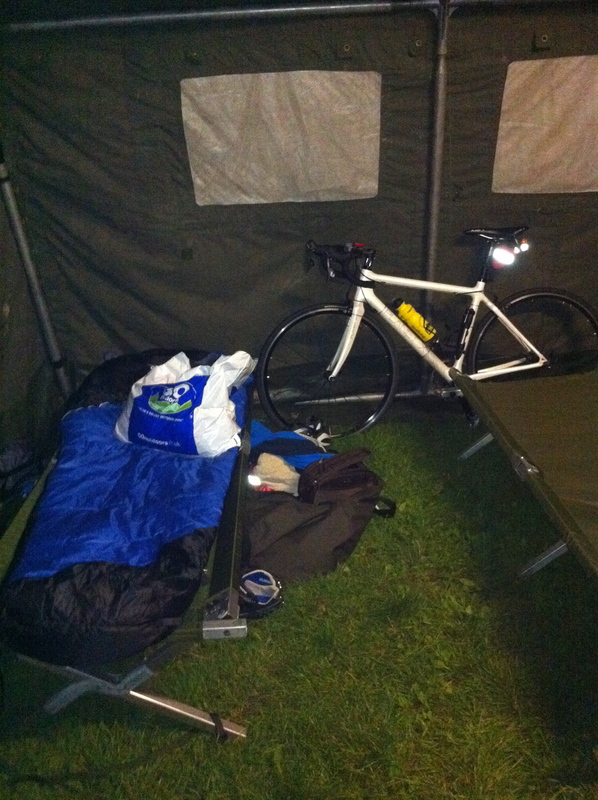 We have to leave by 6am, before sunrise, to get as many as possible of us the 82 miles to London by noon. It was going to be a tall order for sure. And the power cut that was to blight us didn’t help in the least. Bed was therefore by 9.15. 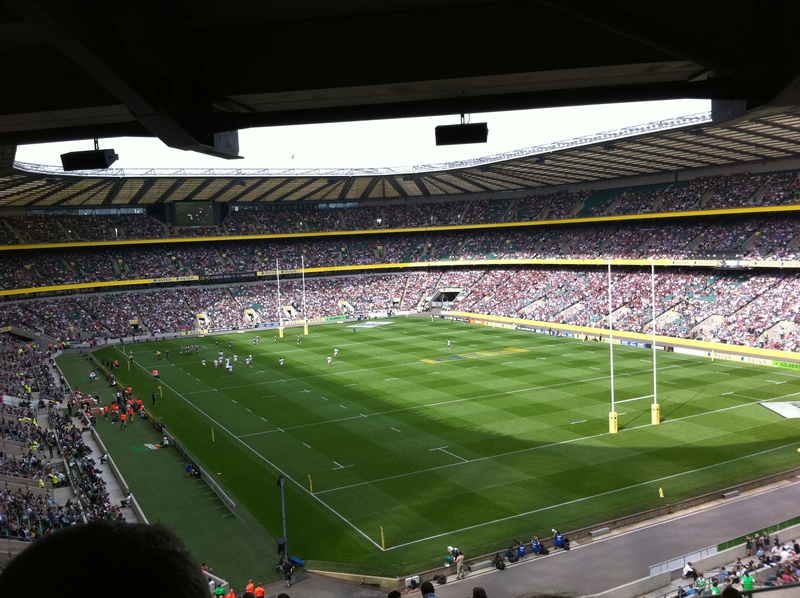 Tomorrow would be Twickenham, our own summit. 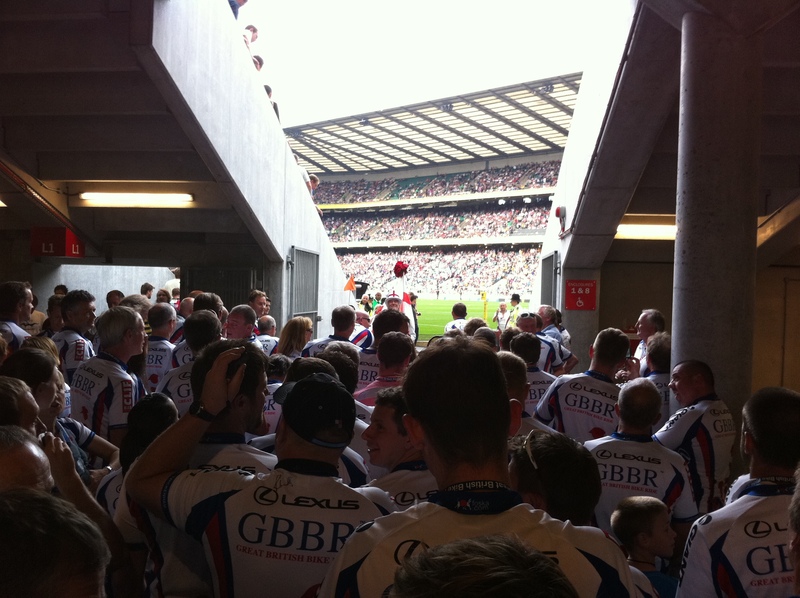 This is what most of us came for, “to arrive at Twickenham to the applause of 70,000 fans”. It was going to be fantastic, and I was going to finish this bike ride. I now, only now for the first time, knew that I could do it. Statistics for the day were 77 miles and 1,390 metres of ascent. Calories eaten, about 10 billion. Oh and Two pints of Guinness. I can’t speak at the moment. Feel choked. Awestruck, gobsmacked, and humbled beyond anything I think I may have almost ever felt. 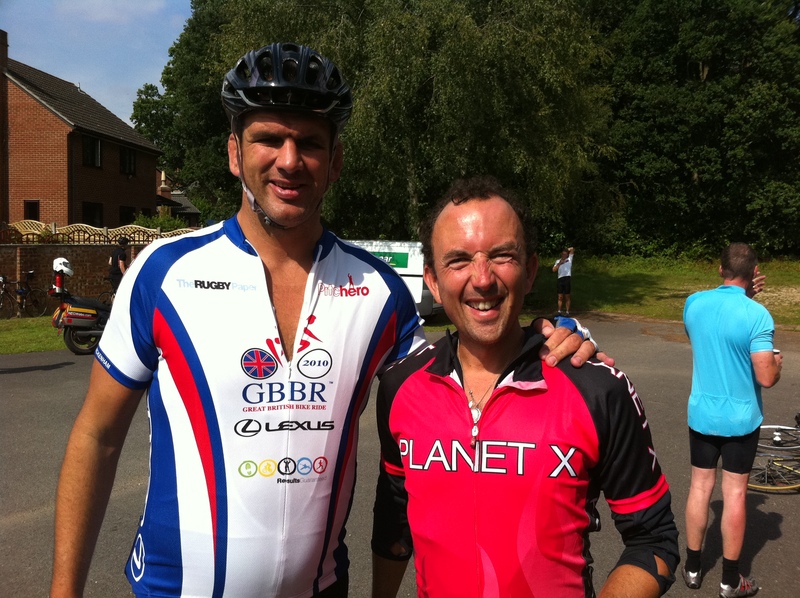 Last week I was lucky enough to do the Great British Bike Ride. I trained all summer without practically a care in the world. 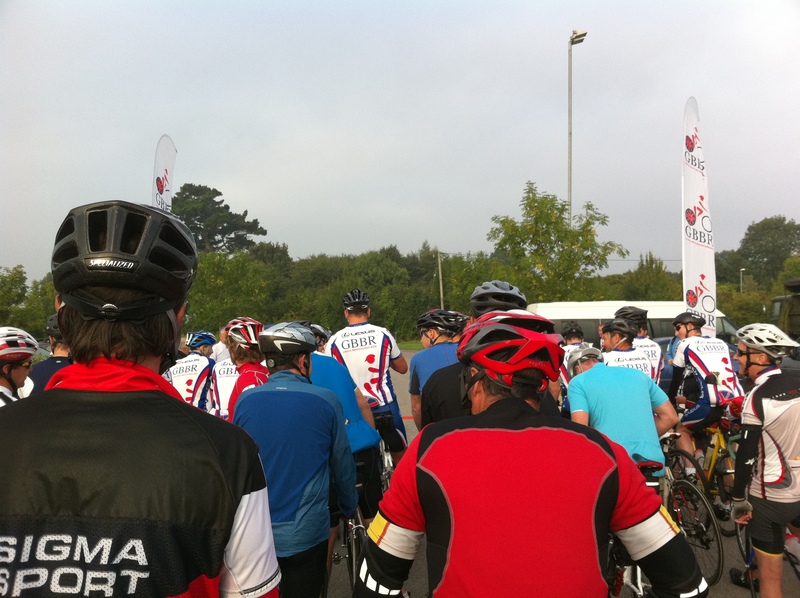 When I did the ride I looked at the other people doing it, and wondered about why they might be there. I saw people with photographs sellotaped to their bikes of presumably parents, grandparents and the like, and thought how nice it was that they chose to commemorate their family members in that way. I also wrote a note to Barry today, as I wanted to ask him about a certain three people who did the bike ride. 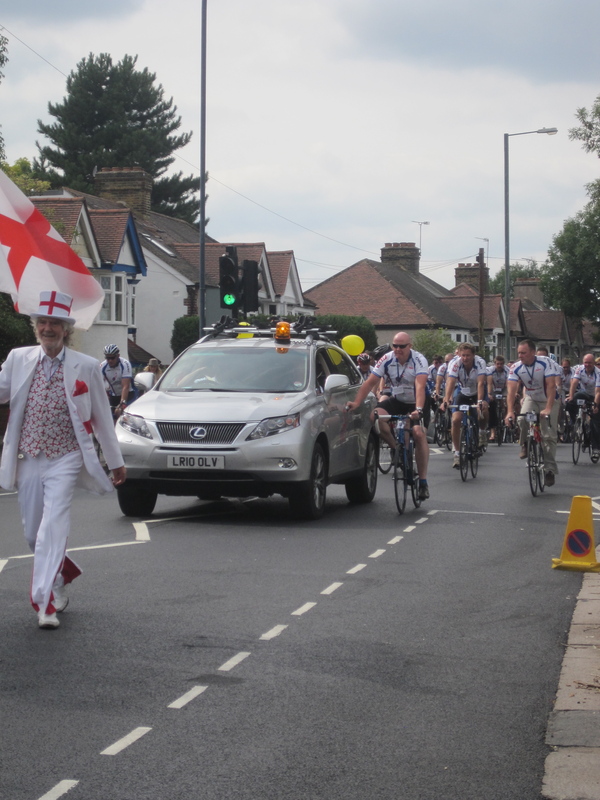 They came in (I believe I am right in saying) last every day, and on the first day for example they were cycling for thirteen and a half hours. They looked absolutely knackered. I saw they had “Pete’s Dragons” shirts on, and had no idea what it was all about. They also looked to be the cheeriest souls on the whole mountain, without it seemed a care in the world. Today I found out what it was all about. I don’t intend to even comment on what is written below, I don’t need to. I want to let their words speak for themselves. I hope they don’t mind me reproducing it – but this is simply a copy of their website. On the 29th of January this year my perspective on life changed forever. That was the day my little brother decided that his life was too hard, difficult and painful to continue. In the first few weeks after his death (although my logical head kept telling me it was impossible) I kept waiting for someone to step forward and make everything ok again. Surely this was a joke right?? Pete was going to come home with a massive hangover right?? That kind, gentle, quiet, smiley, shy, thoughtful little brother of mine was going to be around forever right??? Wrong. The five days that Pete was missing were the worst days of my life. I have never felt such despair and helplessness. To have it over such a sustained period was exhausting, I watched my whole family deteriorate in front of my eyes with every passing hour. We had a wonderful support group of friends and extended family who rallied round and helped to keep us going by keeping us fed and helping in our search. But as each night drew in we knew our chances of a happy outcome were diminishing. The first day that he was missing we found the most frustrating – the police had all available officers searching for him but that just wasn’t enough for the terrain. We often say “its a small world” but let me assure you, when your looking for a five foot six, eight stone, 24 year old in rural Cornwall, the world is massive. On the second day the cavalry arrived. The Cornwall Search and Rescue Team and the North Dartmoor Search and Rescue Team. Just seeing them arrive in their droves, setting up their vans and radio systems gave us the much needed reassurance that everything that could be done was being done. I must confess that at that point I couldn’t care less who they were and where they had come from. One thing and one thing only was driving me and that was finding Pete. I discovered after that the teams in total searched a massive area surrounding where Pete had last been seen. This area included rivers, woods, train tracks, farmland and the weather at the time was horrific, deep snow, rain and hail storms, constant freezing temperatures. However, for as long as the police needed them to help search, they came, from first light till dark. They weren’t successful in finding Pete, he had concealed himself in a place none of us would have ever connected him too, to spare us, his family the trauma of finding him ourselves. Throughout Devon and Cornwall these teams are on call 24 hours a day, 7 days a week. They are all volunteers who buy their own equipment. They don’t have a rota system, they all get called out to every job. They recieve no central funding for their equipment. However, in any rescue situation, from missing people to stranded people, in the two counties they are the first point of contact for the police. They are a 999 service. Have you ever been to Devon or Cornwall, do you know anyone who lives in Devon and Cornwall, do you yourself live in Devon or Cornwall? Having now met these guys I was humbled by the amount of their own time they give up for training and actually carrying out search and rescue operations, they are truly dedicated professionals often juggling their careers and family life with their search and rescue commitments. That’s why Pete’s Dragons want to raise pots of money for them. They don’t have a high profile, they struggle to raise the money they need to continue their work, against some of the more high profile charities. I didn’t know on the 28th of January 2010 who they were or that they even existed. On the 30th of January my family needed them and they were there. On a personal note, “Pete’s Dragons” has got me and my family through some of our darkest days. It has kept us busy and focused and enabled us to feel some positivity coming from such a tragic event. We have received an enormous amount of support for which we are deeply touched and extremely grateful. I have to mention the other two Dragons at this stage: phenomenal women who have given up their own lives this summer to train and fundraise like nutters. I find it very hard to tell them to their faces how grateful I am or indeed how I feel about them because I just blub! But for the record ladies “you are awesome and inspirational, your friendship is priceless and I love you both”. I can’t have my little brother back, my Mum can’t have her son back but what we CAN do with your help is ensure that Search and Rescue Teams have the funding to continue their work and find other peoples loved ones safe and sound. Please continue to support us though the BIG RIDE, our blog will be updated daily and we will be able to read all messages of support on facebook. The route we will ride is on the LGBBR website and we would love to see as many of you as possible en-route for a wave and some heckling!!!! Thank you for all of your support so far – we really have had a blast!!!!! To cycle for so many miles? Heaven only knows about piles. Forget the kids. Are you sure I’m a wife? Only the farmers are around. An eye mask and some ‘lube”? Matching lippie, bright pink nails. And a cuppa at the Mill. But the Dragons; now they’re fast. Is it anticipation, or excitement? Or is it just down right fear? With long and slender thighs. And guess what: it’s not over yet. With a dream we want to share. 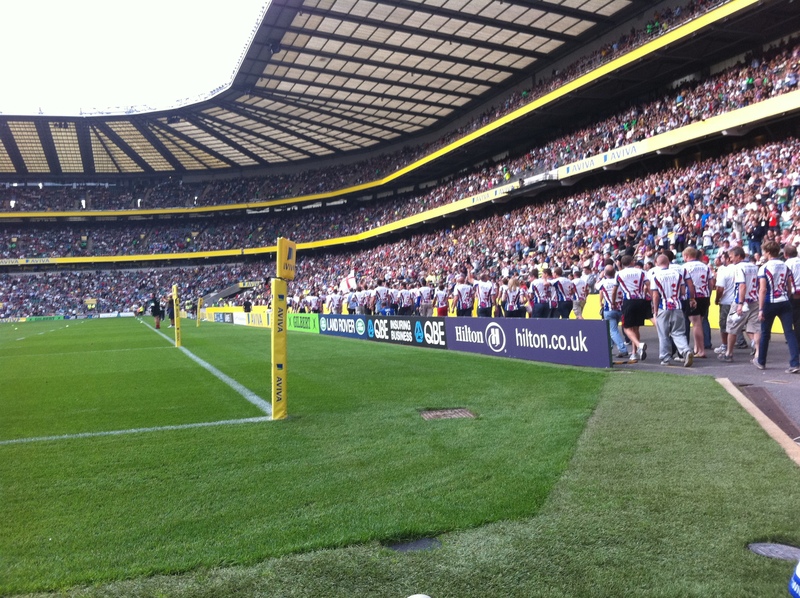 As we cross the Twickenham line.